minimising digital waste and cleaning up the "murky" supply change has transformed the FMCG's marketing to become a “force for good and a force for growth”. 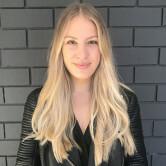 “Mass marketing is being disrupted and it’s been disrupted on a massive scale so the focus we’ve had, and the challenge we’ve had, has been on how to reinvent and build our brand really fast,” Pritchard said. “We’re reinventing media from mass blast to mass one-to-one, we’re getting advertising from less push to more pull, we’re reinventing agency partnerships from less outsourcing to more of our people’s hands on the keyboard." When asked about his decision to pull back from advertising on Facebook and Google, he said he is simply trying to make every dollar accountable within P&G. The company announced last year that it was slashing investment in 2017 across the major digital platforms by $200m. “We cut back on digital media waste because we saw people were only viewing ads for less than 1.7 seconds and we had ads showing up in places they weren’t supposed to be. That’s not effective," he said. “We were having ads served to bots. Bots don’t buy things." These results didn't set well with Pritchard, who said he had to “take control of the situation” and “get smarter” about how P&G was spending its media. While he didn’t name any tech platforms specifically, he said it’s hard to get transparent data from “most of the big platforms”. Pritchard explained that P&G has not increased traditional media spend as a result, rather it has cut back on what he calls “digital media waste”. He referenced beauty brand SK-II as an example, which has cut back on TV in favour of influencer marketing. Recently, it used local bloggers to create content to distribute through their own channels. "It's advertising, but in a different form... It's far less of the push and more of a local pull and that is turning into an explosion of creativity. The real future of marketing is going to come more from that." 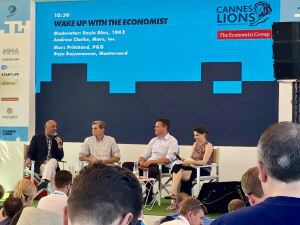 Speaking at Cannes Lion, top marketer Marc Pritchard said cutting P&G's agency roster, minimising digital waste and cleaning up the "murky" supply change has transformed the FMCG's marketing to become a “force for good and a force for growth”.